What started out as a summer of reflection is now the genesis of Chris’ work which is rooted in finance, philanthropy and social change. Convicted that his professional career should align with his personal beliefs, Chris decided to combine traditional financial planning while emphasizing philanthropy and sustainable, responsible impact investing. 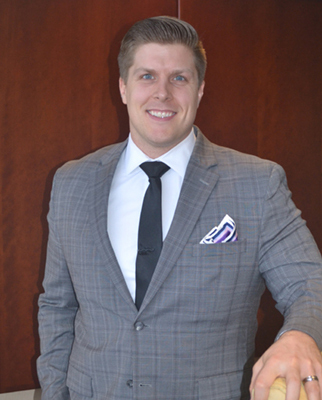 His expertise in finance has allowed him to work with clients that include business owners, corporate executives, NFL athletes, successful young professionals and nonprofit organizations. Advising multi-million dollar portfolio of assets with an emphasis on promoting environmental, social and governance investing. Working with a multi-billion dollar insurance company to provide one million dollars of free life insurance to families who otherwise wouldn’t have been able to afford coverage for the sole purpose of meeting educational expenses of children in the under privileged communities of Cincinnati. Promoting and advising social entrepreneurship in and around Cincinnati to create revenue to fund sustainable community development and clean water initiatives in Nigeria. Co-creating the International Shared Mission Funding Alliance, which epitomizes collaboration by bringing together three like-minded 501(c)(3) organizations in Cincinnati for one common purpose – eradicating poverty and orphan care. Consulting with leaders in Monterrey, Mexico with Back2Back Ministries and At Work on Purpose to establish social enterprises to help offset the cost of orphan care. Six appearances for the University of Cincinnati’s Economics Center for Education & Research as a featured speaker for the program “Why Money Matters”. Featured speaker at the 6th and 8th annual Ignite Cincinnati events. Originally from the Chicago area, Chris has become entrenched in the Cincinnati community. After graduating from the University of Cincinnati as a two year starter of the football team and two-time Academic All Big East, Chris has served on local nonprofit boards and is currently a “big brother” through Big Brothers Big Sisters of Greater Cincinnati. Chris resides with his wife, Julie, in their Walnut Hills home in Cincinnati, OH.